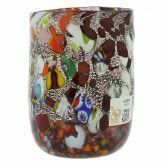 Stunning and unique, this Murano Glass Carafe is a statement of classy Venetian lifestyle, premised on surrounding yourself with beautiful things in order to live "La Dolce Vita". 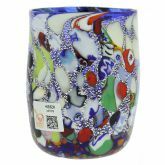 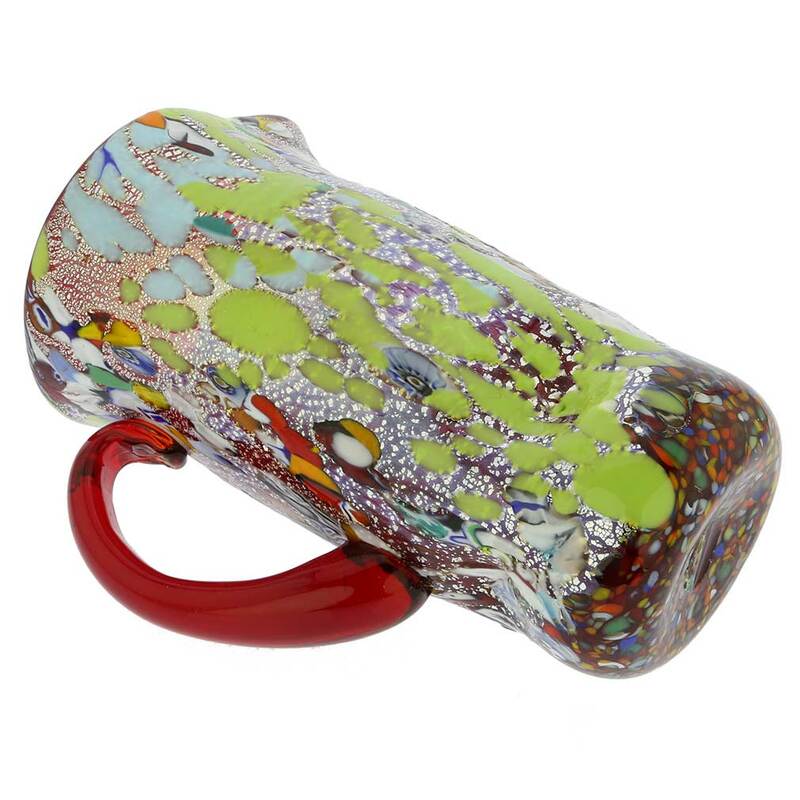 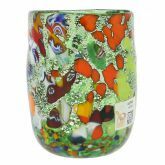 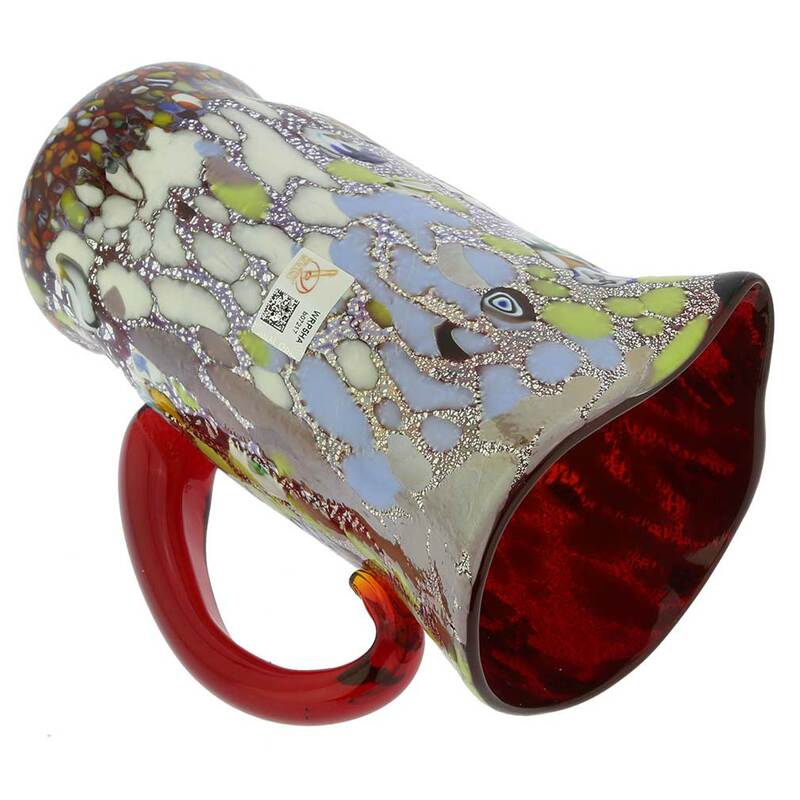 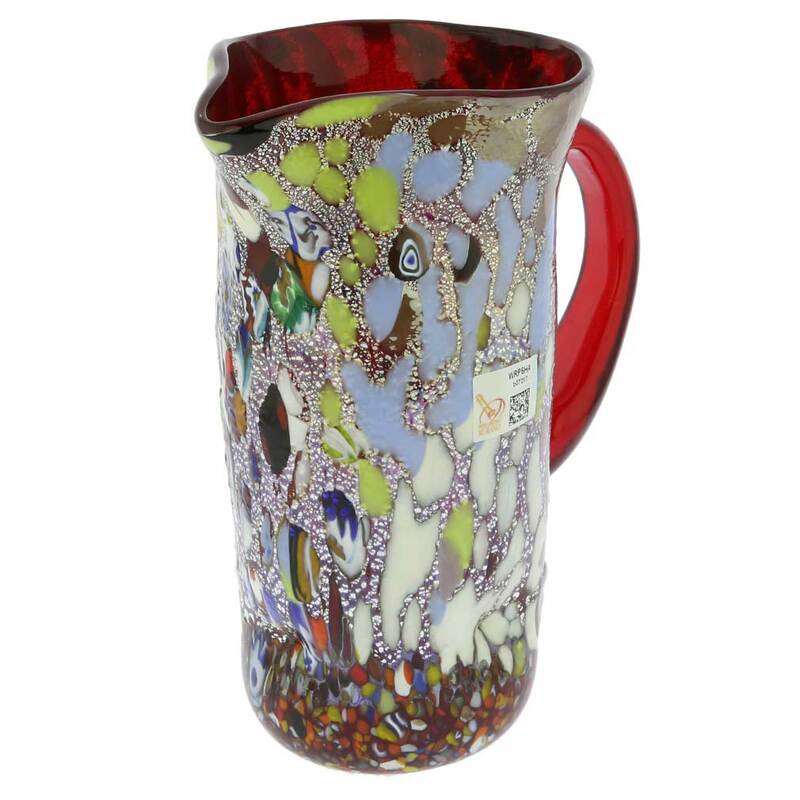 Handcrafted by talented Murano Glass masters in a workshop which changed little over the centuries, this pitcher features deep never-fading colors and radiant Millefiori glass mosaics scattered all over for a festive and elegant look. 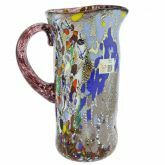 Put this carafe on your table when hosting parties and fun conversation centering on Venice, Italy, and all things beautiful is all but assured. 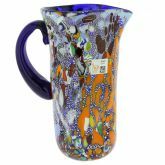 This beautiful yet functional pitcher also makes a great gift to the special people in your life, and is very fitting for important occasions such as weddings, house warming, anniversaries, birthdays, or holidays. 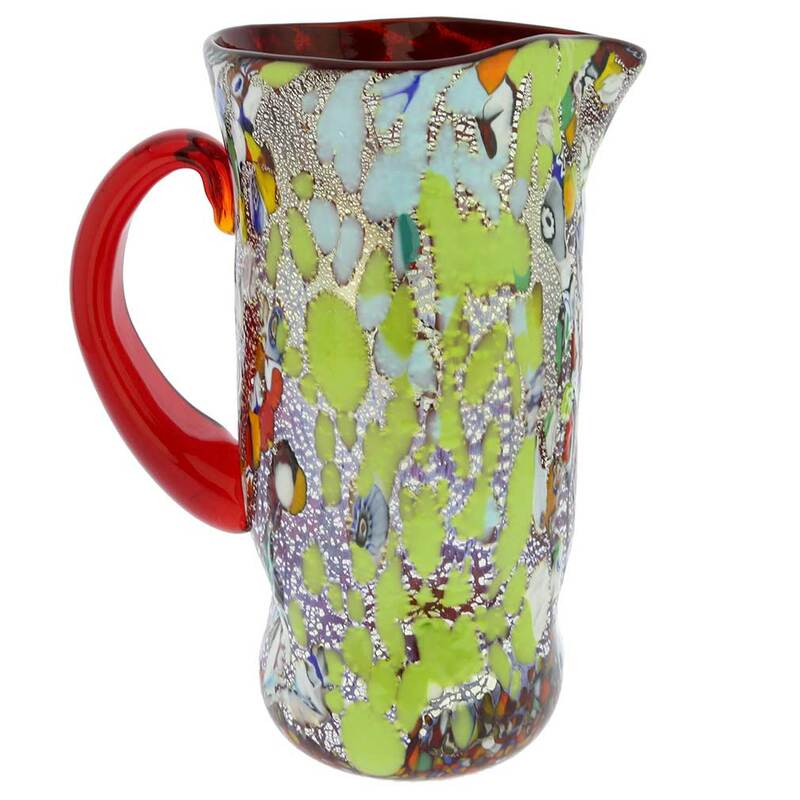 Measurements: The Murano pitcher is approximately 9 inches tall and 5 inches in diameter in its widest part. 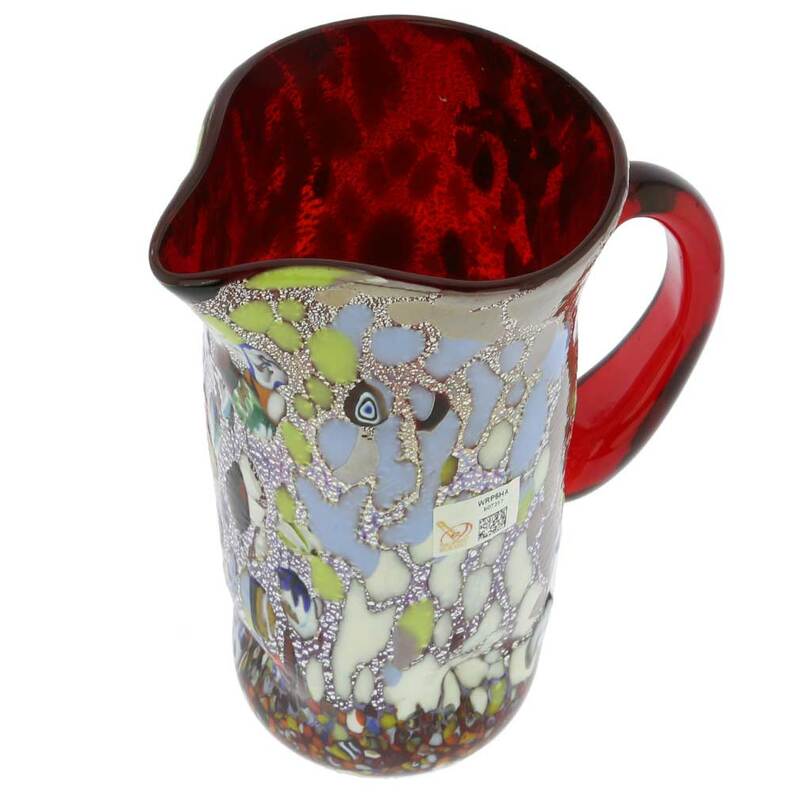 This beautiful authentic Murano Glass pitcher was handmade in a family workshop on Murano island using only traditional glass-making methods. 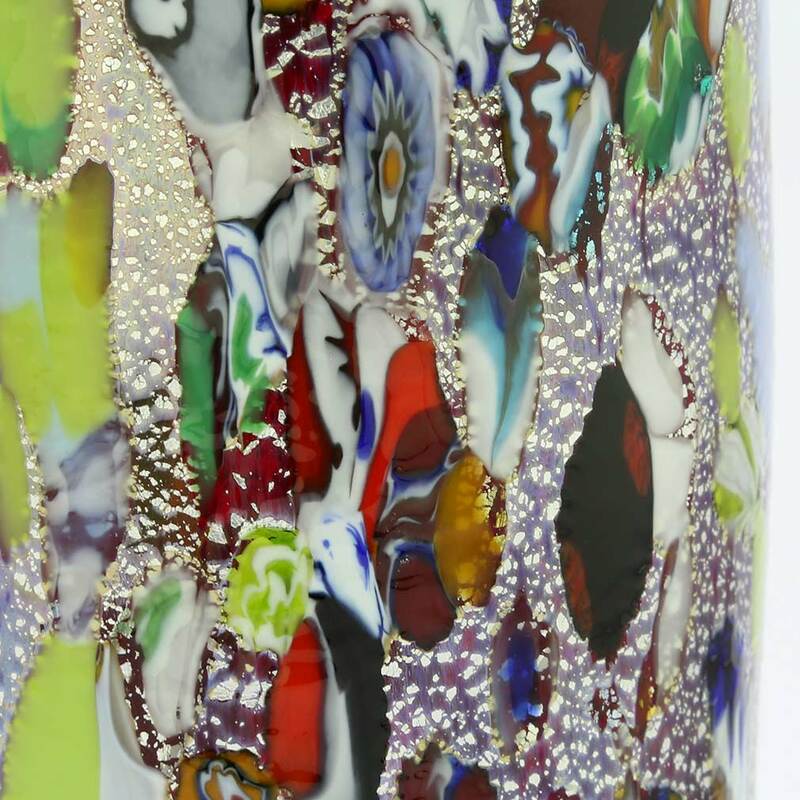 The glass artist who made and signed this carafe is a third-generation Murano maestro, whose work is displayed in art galleries and at exhibitions worldwide. 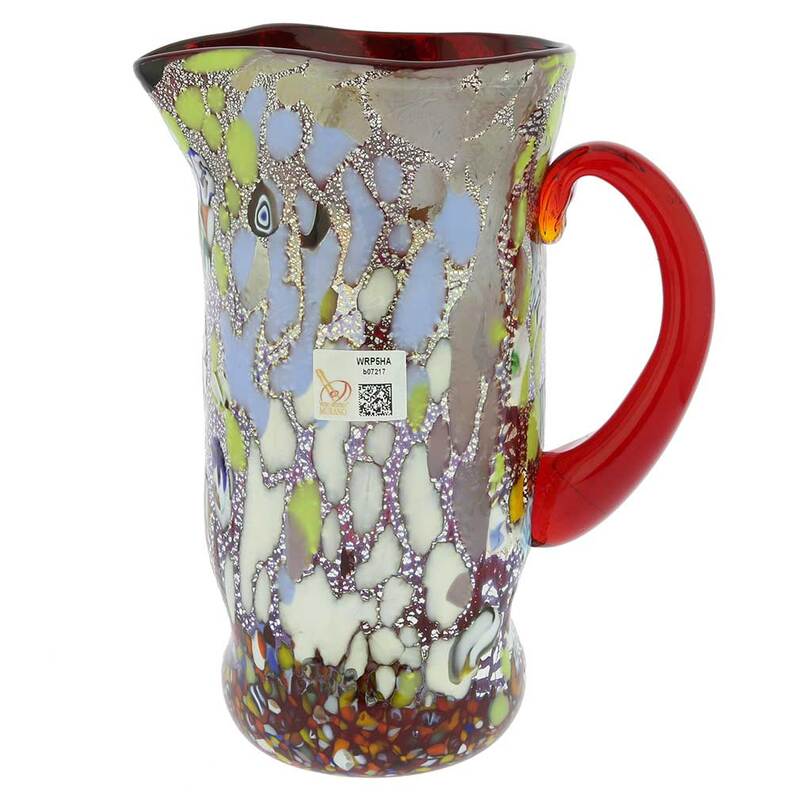 The carafe features the signature of the glass master, the attached sticker further proving its Murano origin, and the certificate of authenticity.